A 2015 report from the Global Entrepreneurship Monitor finds that 27 million working-age Americans, nearly 14 percent, are starting or running new businesses. While more and more businesses begin every day, the prospect of leaving the comfort of one’s job to launch a business can be just as overwhelming as finding the right guidance. 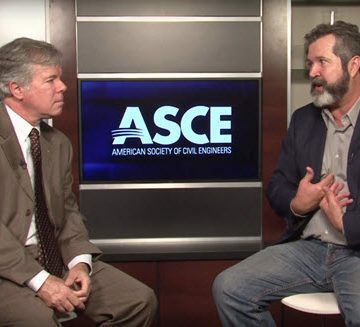 In this ASCE Interchange, Rick De La Guardia, president and founder of DLG Engineering, discusses how to start, own, and manage your own engineering firm. He explains how you don’t have to be born an entrepreneur, but rather you can be made one through some smart risk taking and the right leadership and moral traits. “Being an entrepreneur isn’t easy and it’s not for everyone. It’s a mindset. You really have to live that mindset and have a team around you,” De La Guardia said. Be sure to check out his book, Engineer to Entrepreneur, in ASCE’s library for purchase. 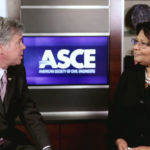 To view all Interchange episodes, visit ASCE News or ASCE’s YouTube channel. Tech tools like cloud drives and LinkedIn have allowed Infrastructure Improvement Consulting to match the talent of the big firms through networking. 2018 is a great time to be an entrepreneur because construction is strong and Small Businesses have advantages. I enjoyed my public agency early career. Now I use that career knowledge as a business owner. Enjoyed the video, Casey. 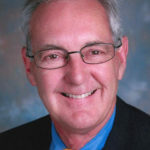 In your position I wanted you to know that I am currently working on a project to replace a partner that retired for a private consulting firm. My client, the remaining owner is looking for an entrepreneurial engineer who wants to be on the fast-track for taking the company over in 2-3yrs. This would be an outstanding opportunity for an engineer with an entrepreneurial spirit in either a mega firm or a small mom & pop shop where they will never have ownership opportunity. As you probably know, most engineers are a pretty conservative group of people that aren’t known for being big risk takers. Those who are will often find themselves wondering, how do I get work without an office, equipment, and people and how to I get an office, equipment, and people without work. This opportunity presents the solution to that dilemma. Please don’t hesitate to reach out to me if you know an engineer who would be interested. Of course, I’m happy to help any other engineers you know who may be looking for that professional or personally enhancing career move. Can this book help give advice for owning an electrical engineering firm or is it geared towards civil engineering? Alonzo, The book is geared to engineering businesses in general and the advice transcends all engineering disciplines. So yes, it will. Like De La Guardia said, “Being an entrepreneur isn’t easy…It’s a mind set.” Based on my 17 years as an independent consultant, that mind set must include the desire and ability to be creative and innovative. That’s tough in the naturally conservative engineering world. Furthermore, you will compete with big organizations with impressive numbers and types of personnel and with immense other resources and connections compared to you. However, your creativity and innovation coupled with your agility — your freedom to try what you want when you want to — can level the playing field. My most recent book, published by Pearson, is Introduction to Creativity and Innovation for Engineers. It offers broad and deep advice on how you, starting with recently discovered brain basics, can be more creative and innovative in your work as an individual and as a team member. Stu, very well put. Which is why I suggest finding a specialty or niche in your specific discipline to provide a service or product faster, better or more affordable then your competitors.